I have been teaching yoga for almost as long as I have practiced yoga. During these 20 years or so my intention as a student and a teacher have not always been clear to me…What is the meaning of intention in a yoga practice? and why is it important? Join me for some Yoga to find out. Intention; [noun] “An act or instance of determining mentally upon some action or result.” This definition has clear implication to the purpose and results of how we teach and practice yoga. To fully understand this we need to look into what makes your mental focus, your intention on what you want to achieve or where you want to end up so crucial to the outcome of your yoga practice. Have you heard of neurological mapping? well you should because its you. You’re a map of a neurological process that started millennium ago and has passed down to you through your DNA. You and I evolved in response to our environment. From the earliest life forms to present day, we are literally formed by our interaction with the world around us. This interaction shapes us through our central nervous system and in may ways defines who we are. We have practiced life for a long time. My mentor and teacher Pete Blackaby’s book, Intelligent Yoga covers this in depth. Our species Homo Sapiens has evolved so fantastically that we are now at the stage to change our own DNA and make non organic A.I beings… I wonder if they will need yoga? Why do we need Yoga? So why do you practice yoga? Perhaps you have not given this much thought recently, trying as you are to fit that leg in place. Our fore fathers lived in an intimate relationship with their environment, with an extensive internalised knowledge of it. Most of mankind in the 21st century has lost this. Our environment has changed too. In a hunter gather society work takes up only 3-4 hours of the day. They could and can rest a lot. And resting is what your body wants to do. Homeostasis is core to our evolution, it is your natures savasana and its not you that has to do anything. Homeostasis [noun]-The process by which a living thing or cell keeps the conditions inside it the same despite any changes in the conditions around it. Given the slightest chance all animals rest. So here’s the rub…Lets say your yoga buddy on the mat next to you has inherited slightly larger lumbar vertebra through their DNA than is common. They will be able to move into an extension more easily than most, so a back bend looks easy. IF your intention is to be able to perform the same as them, your in trouble. This monkey see monkey do attribute of humans is a top down process, its your mind/brain that is giving the commands to the muscles to change your shape into something that may not be within your normal makeup. I have witnessed in myself and also in countless students in my earlier yoga days. The intention my be altogether lost, what was I hoping for when I saw him/her bend backwards to easily? Your yoga practice need to be about you. Your yoga practice is all about you. My advise is to first stop and listen. Regardless of your position on the mat, by the sink, at the wheel of your car. Find the easiest and most comfortable way of doing what ever you are doing and listen. Listening to your internal rhythms, pulse, breath, your weight and wait a moment or two. IF you follow closely you’ll notice and quieter space..Thats your body in Homeostasis folks. When you stop doing, you rest. If you can follow that simpler and more gentle feeling when you choose to move, your bodies own sensory intelligence will guide you within your own unique neurological mapping. Between the resting and listening is intention. As a yoga teacher before every class I have to get clear about my intention what am I teaching for and to whom. Personally these days its mostly always to help my students move more freely according to their own unique neurological mapping. But it has been many other things too. But students and teachers alike have to get clear about this. Stop and listen and find out your intention, it could change your life. Last year I made it my intention to support through yoga workshops the great work of the Bhopal Medical Appeal. Yoga for Bhopal raise awareness and funds in the support of the Sambhavna trust which was founded 22 years ago. The trust use yoga to help victims of the Bhopal gas disaster 34 years ago that has devastated now generations of poor people in India. 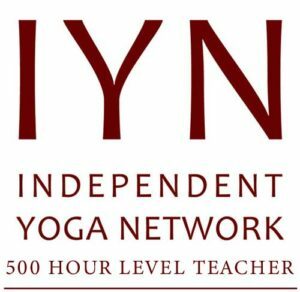 On the 24th November I am hosting a yoga workshop at Isle of Yoga where we can cover the ideas of intention in your yoga practice, neurological mapping and more. We are donating from our fee to the Bhopal Medical Appeal. Please join us if you can. We have worked with yoga students and yoga teachers collectively for many years. Elaine and I would welcome your participation in Isle of Yoga to further and deepen your understanding of Yoga.